California Red Blends 2014 | Wine Splash! Rich red wine blends are all the rage nowadays and there is nowhere better to find quality red blends than from California. I love red blends since I have always believed that this would be the winemaker’s signature wine. This would be the best representation of the heart, soul, and palate of the winemaker to bring together a variety of grapes into what he or she thought would make the best tasting wine blend. Add some Cabernet Sauvignon, take away some Merlot, maybe a dash of Grenache and “Tah Dah!”, a wine that makes the winemaker proud! There are literally thousands of wineries in California and about the same amount of red blends since most wineries have at least one. The fun was trying many wines but the challenging part was choosing only ten that we would always come back to. Cheers to these ten who warmed our hearts and palates. 1. 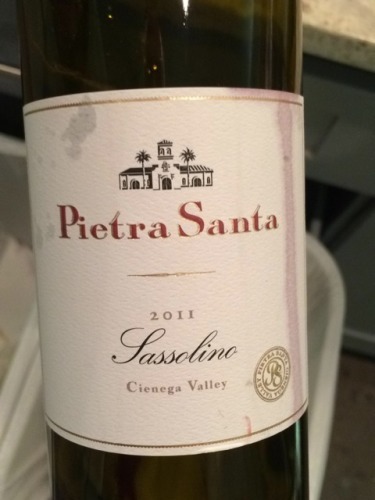 Pietra Santa Sassolino 2011 – From Cienega Valley, California, a Super Tuscan blend of 70% Sangiovese and 30% Cabernet Sauvignon. Aged 24 months in the barrel and 14.5% alcohol. A robust red with bold flavors of ripe plums, black cherry, notes of mocha and a smooth, smoky oak finish. 91 WineSplashing points! $16 a bottle. 2. Justin Isosceles 2011 – You don’t have to be a mathematical genius to figure out that this is a fantastic blend! 81% Cabernet Sauvignon, 12% Merlot, and 7% Cabernet Franc. Full bodied and complex with flavors of black cherry, cassis, and juicy red berry upon entry then leading into savory layers of vanilla, anise, and cinnamon spice across the palate. The flavors are multiplied by being aged in French oak barrels for 2 years. The finish is long and luxurious with notes of chocolate, smoky cedar, and bright red fruit. To sum it up, 94 WineSplashing points! $39 a bottle. 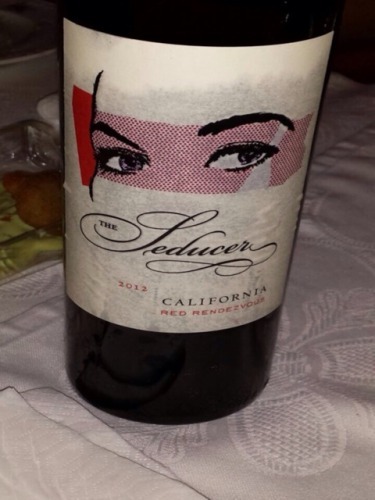 The Seducer Red Rendezvous 2012 – Alluring red blend of 60% Zinfandel, 20% Syrah, 10% Merlot, 5% Ruby Cabernet, and 5% Tannat. Elegant and refined Merlot intermingles with spicy Zinfandel while sensuous Syrah flirts with playful Tannat to create this seductive red blend. Pour a glass and excite your senses and your palate. 89 WineSplashing points! $13 a bottle. 4. Klinker Brick Tranzind Red Wine 2012 – A transcending blend of 75% Old Vine Zinfandel, 10% Petite Sirah, 10% Syrah, and 5% Cabernet Sauvignon. Out of this world flavors of dark berry, chocolate, herb, and exotic spices. Medium body with rich fruit flavors across the palate but a firm structure and long finish. Stellar! 91 WineSplashing points! $15 a bottle. 5. Leviathan Red 2011 – A beautiful dark creature from the depths of the North Coast in California. Like a wild horse that is on the verge of being tamed. Vibrant and robust upfront but smooth and supple on the finish. Ripe plums, dried berry, mocha, and savory herbs lead into a long finish of currant, cedar, and smoke. Predominantly Cabernet Sauvignon with Merlot, Syrah, and Cabernet Franc filling in. 94 WineSplashing points! $46 a bottle. 6. 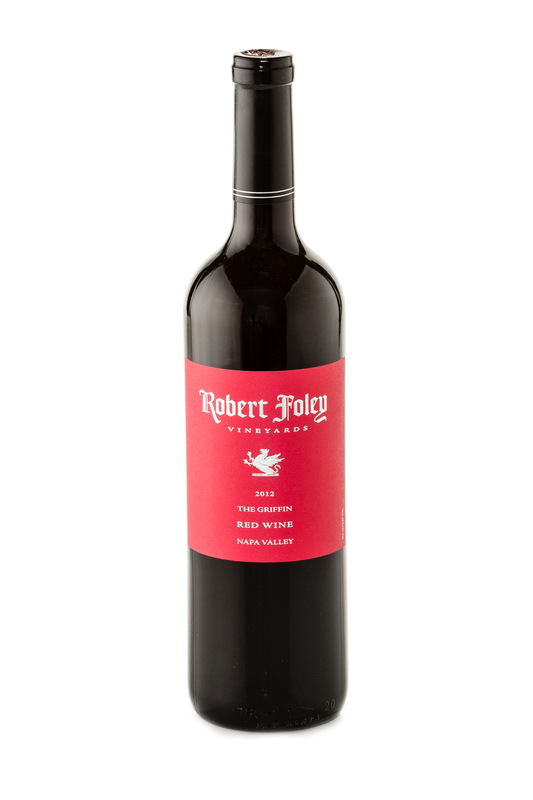 Robert Foley Griffin 2012 – A red wine that is as legendary as the mythical creature itself. A powerful yet expressive blend of 47% Calistoga Merlot, 35% Petite Sirah, 9% Charbono, 8% Cabernet Sauvignon, and 1% Petit Verdot. Aromas of red and black fruit draw you in to savor the flavors of blackberry, ripe plum, and spice. Hints of Bing cherry and mocha entices on to the graceful finish. 93 WineSplashing points! $35 a bottle. 7. The Dirty Pure Project “F Bomb” Red Wine Field Blend 2012 – From the vineyards of Santa Barbara County comes an eclectic blend of 89% Grenache, 6% Barbera, and 5% Lagrein red wine has taken flight. Notes of cigar box and black pepper fill the senses. Medium bodied with flavors of ripe strawberry, rich blackberry pie, and a white pepper spice finish. After a glass, you are bound to say “WTF, this tastes great!” 90 WineSplashing points! $15 a bottle. 8. 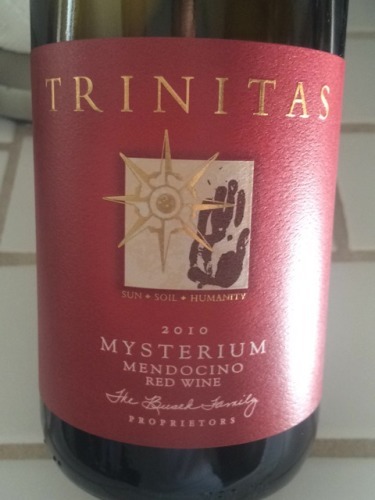 Trinitas Mysterium Red Blend 2010 (Mendocino) – Because each harvest is different, this blend truly is a mystery until bottling. The 2010 vintage is mostly Carignane, followed by Zinfandel, Petite Sirah, Mataro, Black Malvasia, and Alicante Bouschet. Deep violet in color and loaded with flavors of black cherry, plum, anise, leather, and a hint of cinnamon on the finish. Full bodied with silky tannins. You got to love a mystery! 91 WineSplashing points! $22 a bottle. 9. 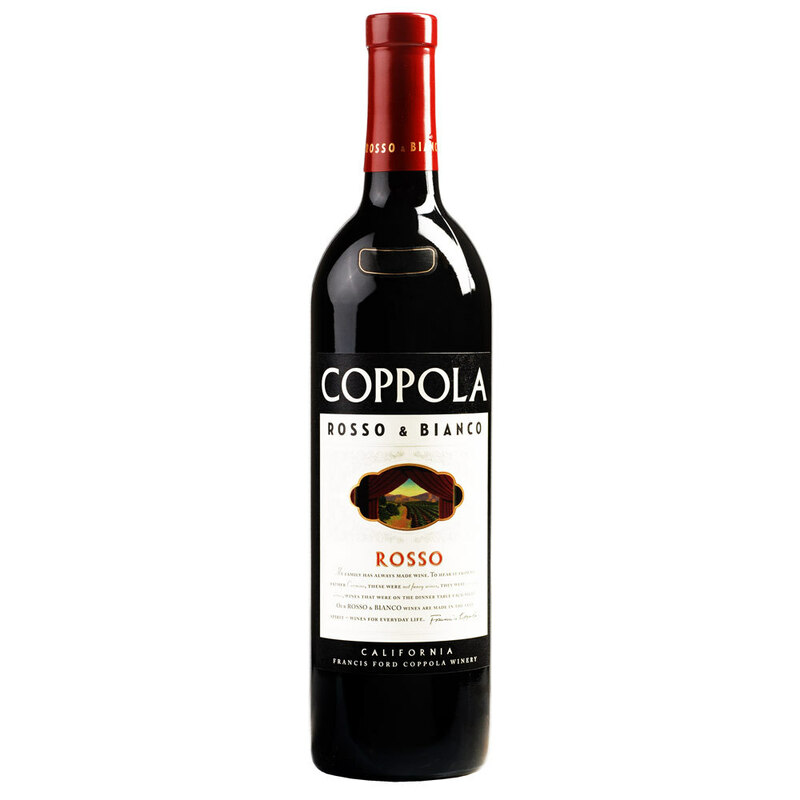 Francis Ford Coppola Rosso Red Blend 2012 – From the man who brings us award winners in the movie theater, also brings us a winner in wine. Rosso is a blend of Zinfandel, Syrah, Petite Sirah, and Cabernet Sauvignon from diverse climates across California. Rich and supple in texture, this is a wine that can smooth the edges of everyday life. Flavors of juicy plums, warm cherry pie, mocha, and smoky oak. 88 WineSplashing points! $9 a bottle. 10. Beringer Waymaker Red Blend 2012 (Paso Robles) – It’s hard not to go with the favorite with amazing wines like this! A blend of 57% Syrah, 37% Cabernet Sauvignon, and a kiss of Petite Sirah and Malbec. It’s full bodied with supple tannins and jammy, but jammy with character. Aged in seasoned oak and new oak for 17 months gives this blend a new perspective. On the nose, enticing blue fruits accented by floral and dusty notes. Flavors of blueberry, dried plum, cocoa, and hints of smoke lead to a succulent finish. 92 WineSplashing points! $21 a bottle. The fun of being adventurous and trying new wines is finding a winemaker that produces wines that speak to your palate. So find a few new favorites and get to know the winemaker that made them. Chances are, they will be making your favorite wines for years to come. Cheers!